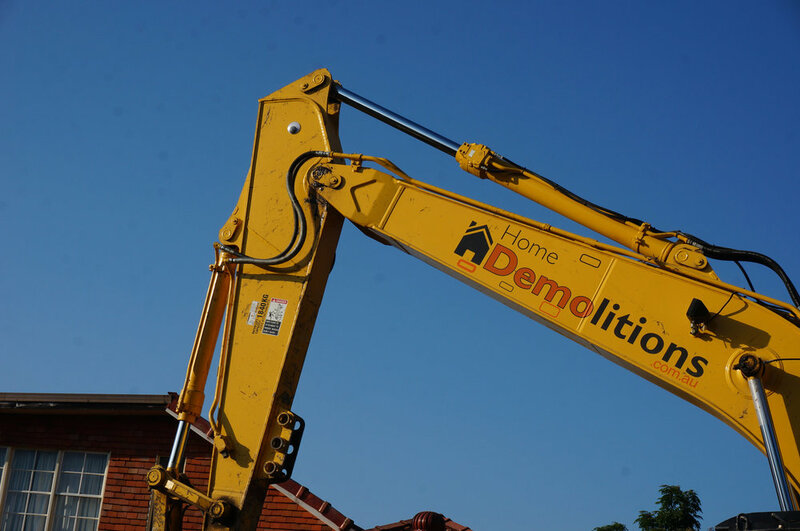 Henley, NSW 2111 | Home Demolitions Home demolitions are the experts in home and building demolition with professional processes and services at affordable rates in Sydney. 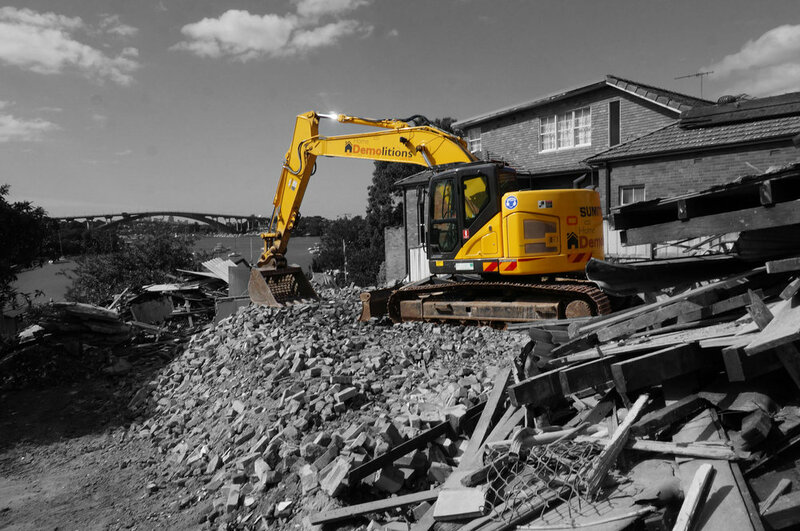 Home Demolitions services in Henley: Professional asbestos remediation and removal, quick turnaround, get a free quote today. Henley is the small suburb that demands huge prices. Much like the lower North Shore suburb of Castle Crag, Henley boasts stunning water views making it some of the most sought after land in Sydney. As well as its proximity to the water, Henley is also a convenient 9km's from the Sydney CBD. Although there are some apartments and units in Henley, the suburb is dominated by free standing homes on long blocks of land ending at the water. This makes the suburb a prime spot for demolition as older homes are torn down to make room for newer structures that take full advantage of Henley's coveted waterfront views. This demolition job was no exception, with an old brick home being demolished to make room for an exciting new development that made better use of the land. 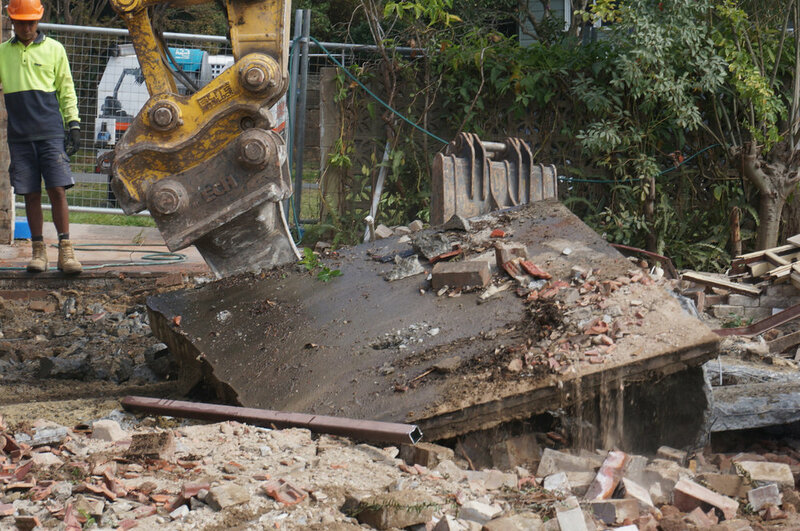 Although the actual house demolition was fairly straight forward, the job was made a bit more complex by a concrete slab at the very end of the property that needed to be removed. This required the use of our smallest excavator, and some precision driving from our machine operator, to navigate the machine down a narrow stairway and onto the back of the property.